Snacks that include nuts are so popular, but the most affordable and nutritious nut is the peanut. It is higher in fat than lets say almonds, but it is a good fat, like the avocado, good fat is ok. Peanuts are so high in protein I had a tough time adding a protein to this meal, as it is not necessarily needed. 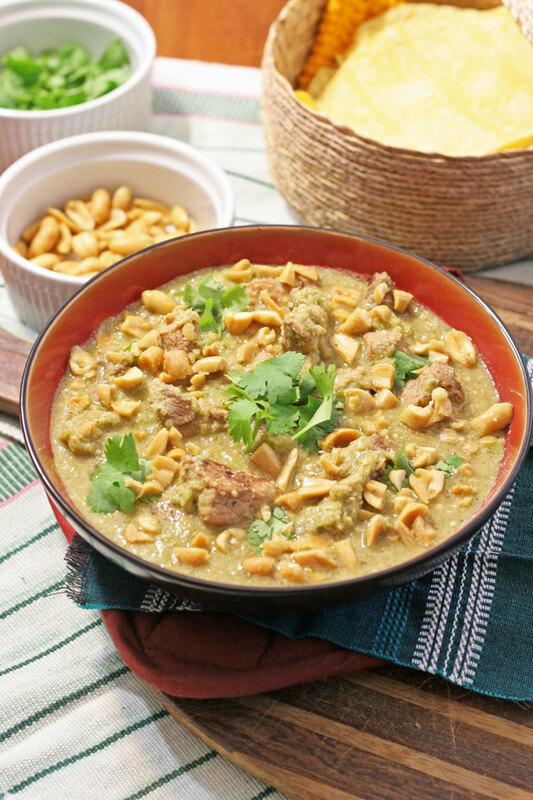 Although in my culture peanuts are often used in sauces, it adds a beautiful depth of flavor. I went back and forth on this recipe, and ended on this. A simply made peanut mole sauce with pork, served over rice with tortillas, and topped with a few toasted peanuts and cilantro. A protein packed easy to make meal. You can make the sauce in a big batch, and freeze it for easy weeknight meals. You can also sub the pork for seared tofu for a vegetarian and vegan meal, I made it already, it was delicious. That is the nice thing about peanuts, they are flavorful and pair well in so many meals. And with juggling work, family and activities can take a lot out of us. More than ever, we need help to get through the day and night in our increasingly busy lives. Add them to your afternoon snacks, top toasted peanuts on your ice cream, or make homemade peanut butter. Peanuts and peanut butter provide lasting energy and are a smart addition to your diet any time of the day. It’s also an affordable source of protein and really convenient, you can take a pack with you or stir peanut butter in a smoothie or your oatmeal. Toasting them and topping salads and other dinner meals can make for a nutritious, tasty, and healthful meal for you and your family. I am all about that. Affordable and healthy always tops my list! With 7 grams per serving, peanuts have more energy boosting protein than any nut. Coupled with their more than 30 essential vitamins and nutrients, peanuts are considered a Superfood. When you combine the value, nutrition and flavor of peanuts and peanut butter, families really get a nice bang for their buck! 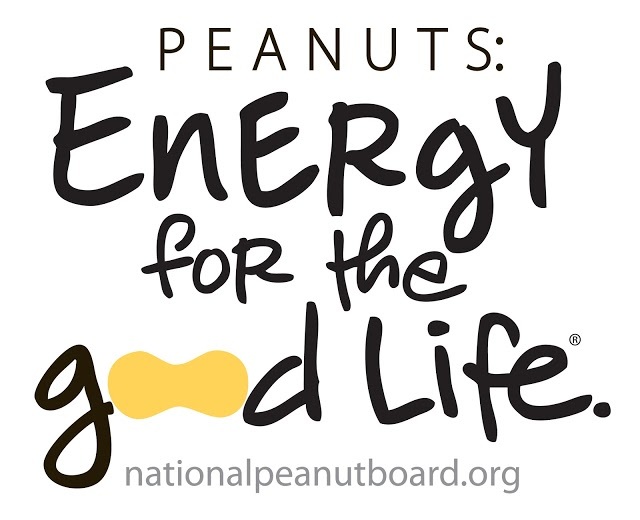 Check out the awesome National Peanut Board for more ideas for meals, and snacks! 1. In a large skillet or cast iron pan, add 2 tablespoons of olive oil over medium heat. Once the oil is hot and shimmery, add the onions, cook for 2-3 minutes until golden brown. Remove onions. Add the pork pieces, sprinkle with 1/2 teaspoon salt and 1/4 teaspoon fresh cracked black pepper. Sear the pork for about 5 minutes, or until golden brown on all sides. Remove the pork from the pan, set aside. 2. Add 1 tablespoon olive oil over medium heat, 2 cups peanuts and whole garlic to the pan with the good bits from the pork and onions. Toast the peanuts for 5 minutes. Remove, and place 1 1/2 cup of the peanuts and whole garlic in a blender. Add the chile serrano, cilantro, tomatillos, and garlic cloves to the blender. Blend until smooth. 3. Add the pork, onions, stock/broth, and sauce to the pan. Cook for 30 minutes on low to medium heat. Taste for seasoning, does it need more salt? I added 1/2 teaspoon of salt. 4. Serve over rice (I used brown) with warm corn tortillas, and a few teaspoons of the remainder of toasted peanuts, and chopped cilantro. For tips to the perfect brown rice, check out my easy brown rice recipe! DISCLOSURE: This is a compensated campaign in collaboration with Latina Bloggers Connect and The National Peanut Board. I was given an apron, a pot holder, a gift card for grocery items, and paid to write this post. Per usual, all opinions are my own.